… As Well as Learn Breakthrough Strategies You Can Use to Quickly & Easily Unleash the Maximum Potential of Someone With a Learning Disability! Each year the number of children diagnosed with learning disabilities skyrockets from the previous year. In fact, many of these cases are being diagnosed simply because the “experts” are able to profit from these diagnoses. Although there are many experts that are genuinely concerned about children’s welfare, there are also those who are falsely diagnosing many children in the name of profits. Don’t let your child be falsely diagnosed … don’t simply take an “expert’s” word on the fact that your child may have a learning disability. 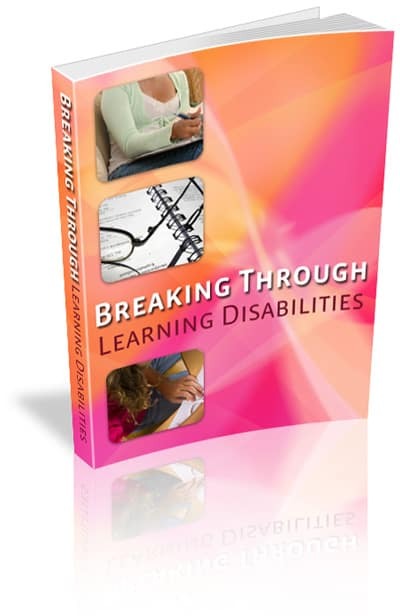 Get the information you need to understand exactly what you are dealing with … get my new, “Breaking Through Learning Disabilities,” ebook today. This ebook is designed to provide you with the information and research you need to better understand learning disabilities, including the various types of learning disabilities and how to deal with them. How to overcome learning disabilities – without using expensive prescriptions drugs with harmful side effects! What “self-talk” is – and how this amazing technique can help a person with a learning disability discover who they are and what they want to achieve! Why some children may be falsely diagnosed with a learning disability – and what you should immediately do if you think this has happened to your child! How to find a properly qualified mental health expert to treat your child – discover what to REALLY look for here! The most common reason for a false learning disability diagnosis – plus, what simple thing you can do to ensure this doesn’t happen to your child! The best way to get a child with a learning disability through the learning process – you may be very surprised at what you read here! How to help a child with a learning disability cope with peer pressure – learn these tips and you’ll have your child on the fast track to success in no time! Learning strategies for those with learning disabilities – start using these techniques and watch your child begin to prosper academically! How to build self-esteem and self-confidence in a child with a learning disability – you’ll be amazed at how easy it is to do when you follow these simple tips! How to help your child learn to live with their disability – follow these tips and your child just won’t learn to live with their disability, they’ll learn to excel in spite of it! Common learning disabilities and their symptoms – find out how to quickly recognize each learning disability here! Two natural ways to help someone with a learning disability improve their learning skills – if you read nothing else, you must read this! At Last! Get the Information You Need to Help Your Child “Break Through” Their Learning Disability! Before turning to expensive medication that can be harmful if taken for too long, why not learn more about safe, all-natural, less-expensive approaches that could quickly help your child overcome a learning disability or escape from an incorrect diagnosis? 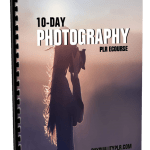 [YES] Can be used as eCourse or autoresponder series. [YES] Can be translated to other language. [YES] Can edit the sales page and graphics. [YES] Can be added into free membership sites. [YES] Can be bundled or packaged. [YES] Can be sold on forums. [YES] Can sell Private Label Rights. [YES] Can sell Master Resale Rights. [YES] Can sell Basic Resale Rights. [YES] Can sell Personal Use Rights.